Colourful responses from all over the world are coming in on Anna’s campaign against the corruption in the country. As the campaign led by the Gandhian reaches every corner of India peacefully, the world which is used to watching violent protests against government by the civilians in Middle East and North Africa is amused with the system in India. No matter how much ever the government is corrupt, the democratic rights of the citizens for protesting against the government were not harmed, though this might not be true as government initially had done many mistakes which raised concerned over the fundamental rights of the citizen of India. Across the border in Pakistan, where people are fed up of their corrupt civilian government for so long feels encouraged with the high profile strong movement going on in India. Human rights activist from Pakistan, Ansar Burney on Sunday announced a massive India-like anti-corruption campaign across Pakistan after Eid. Not only this, but in Russia, native people came out in gathering and raised slogans like “Bharat Mata ki Jai’ (Long Live Mother India) and “Anna Hazare ki jai” (long live Anna hazare). The personality of Anna has grasped attention of a huge population around the world. It is indeed too early to say if the Anna’s bill will really bring out immediate changes in the society of India which will be corruption free, but we know this is not the end but the start. It had to be started with something. And Anna’s Jan Lokpal bill is the thing to give a perfect start to the Anti Corruption movement in India. 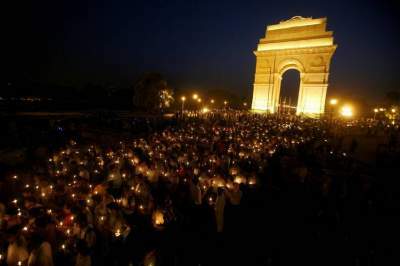 We shouldn’t forget that even if Anna’s bill is accepted, our peaceful war is not over.